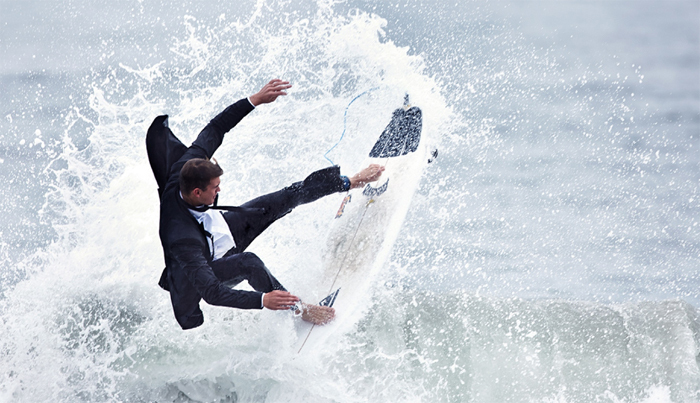 The Black Tux teamed up with pro surfers Chase Wilson, Luke Davis, Matt McCabe and Nick Rozsa in partnership with BYRD and photographer Steven Lippman to celebrate the start of summer with its latest campaign, Wet Suits. Explore the full gallery and video of the guys suited up and catching surf at: https://theblacktux.com/stories/wet-suits. Head over to theblacktux.com to shop the look, every Black Tux rental for events during the month of August will receive a complimentary tin of BYRD.